It took courage to write this book, and it will take courage to read it. Because its theories and proofs do not fit into the mosaic of traditional archaeology, constructed so laboriously and firmly cemented down, scholars will call it nonsense and put it on the Index of those books which are better left unmentioned. Laymen will withdraw into the snail shell of their familiar world when faced with the probability that finding out about our past will be even more mysterious and adventurous than finding out about the future. Jacobovici believes (of course) that St Paul substantially falsified Christianity in the first century; that it is possible, two thousand years down the line, to recover the truth about Jesus; but that there is a huge blob of "Paulist Christians" trying to stop us. Paul came from Tarsus. Tarsus is in Turkey. Tarsus was one of the centers of the worship of the Graeco-Roman god Attis. Attis (like Mondamin and John Barleycorn) died in the winter and came back to life in the spring. So the Jesus-story was made up out of the whole cloth by St Paul and festooned arbitrarily onto Jesus. The idea of Jesus dying and rising again is Paul trying to historicize the Attis story. Attis was a celibate cult; to the extent that some priests castrated themselves; which is why Paul insisted on celibacy for Christians. (*) Once Paul had convinced everybody that Jesus, like Attis, was celibate, Mrs Mary Christ had to systematically removed from accounts of Jesus' life, although she remained in anti-Paulist, Gnostic versions. Jacobovici is inclined to use “Pauline Christianity” and “orthodoxy” rather interchangeably. But if St Paul invented the idea that Jesus was a dying and rising divine saviour, then every version of the Jesus-story of which we are aware was written by a "Pauline" Christian. There is no point in saying that Pauline Christianity triumphed at the Council of Nicea; or that the Paulists suppressed the Gnostics. Arius, who believed that Jesus was of a similar substance to God was just as much a Paulist as Athanasius who insisted that he was of the same substance. The Gnostics, who thought that Jesus was so totally the Son of God that he didn't have a human body at all were just as much Paulists as John, who thinks that Jesus was the Word of God in human flesh. Jacobovici treats Pauline Christianity as a lobby which controls academic departments, determines what can and can’t be said, and which frequently argues in bad faith. He points to two recent discoveries which support his theory that Jesus married Mary Magdalene. The so-called Gospel of Jesus' Wife is a fragment of papyrus which seems to include the phrase "Jesus said 'my wife'". The so-called Jesus Family Tomb once contained the remains of someone called "Jesus, son of Joseph", who had a son called Judas; and was buried near an unidentified person called Mary. Scholars have indeed been pretty skeptical about both these "discoveries". They were skeptical about the Jesus' Wife papyrus because the text seemed altogether too close to another ancient fragment, arousing suspicion that one had been copied from the other by a modern forger. It was also a little too good to be true that a fragment contain the words "Jesus" and "Wife" should come to light exactly when everybody was talking about the Da Vinci Code. They were skeptical about the tomb because “Jesus”, “Joseph” and “Mary” were very common first century names: by one count, there could have been a thousand men called "Jesus, Son of Joseph" in first century Jerusalem. (Jacobivici mocks this idea: saying that the tomb belongs to a different Jesus is like something out of life Brian.) They are also skeptical because the person in the tomb had a son called "Judas", and we have no reason to think that the Jesus of the Bible did. 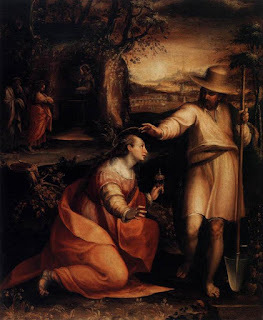 (The probability that a tomb of "Jesus son of Jospeh connected in some way with Mary" belonged to the famous Jesus is explored very clearly here.) There are also questions about what the inscription actually says. Some people think that the iconography on the tomb shows it was at least a Christian burial. Others, not so much. That's what you'd expect that with a very old artifact. This is the language of conspiracy theory. The way an academic argument proceeds is for one person to present a hypothesis, and for everyone else to do their damnedest to refute it. If the hypothesis stands up to criticism, it's probably true. If the response to every counter-argument is "aha, but that's what they want you to think" then no argument can proceed. It's like accusing me of killing Lord Melchett's favorite pigeon, and deciding in advance that all the defense witnesses are liars and scoundrels because no-one but a liar and a scoundrel would speak in defense of a pigeon-murderer. Anyway, it's quite false to say that everyone who is skeptical about the manuscript and the tomb are conservative Christians who regard everything in the Gospels as the literal truth. I'm a big fan of Mark Goodacre's podcasts. Goodacre has been an outspoken opponent of the "Jesus family tomb" theory, but he is equally skeptical about the historical truth of huge chunks of the Gospels. The really strong evidence that the Biblical Mary was Jesus' lover is said to be the fact that she went to Jesus' tomb to anoint his body. Which is just as well: because that's all she does in the Bible. She witnesses the crucifixion; she goes to the Tomb; she runs and tells the disciples that Jesus' body has vanished, and then she disappears. Over the years, Christians who have wanted to know more about this mystery-woman have conflated her with the woman taken in adultery; or with one of the women who washed Jesus feet with ointment and tears; or with Mary the sister of Lazarus.... And you can make up quite a nice story out of this composite figure. I really like the scene in The Passion of Christ when Mary watches Jesus being crucified and remembers that he saved her from being stoned to death. But there is not one word in the text to back the idea up. The point of Mary's story is that when she goes to Jesus' tomb, Jesus is not in it. Put another way, the only story which Mary features in is the story of the Resurrection. And the whole crux of the married-Jesus theory is that the story of the Resurrection is Paul's invention: Jesus is a dead guy who preached some good stuff about the kingdom of God, on whom Paul imposed a story about a corn god who ripped off his own balls. But Mary stood without at the sepulchre weeping : and as she wept, she stooped down , and looked into the sepulchre, and seeth two angels in white sitting , the one at the head, and the other at the feet, where the body of Jesus had lain . She turned herself, and saith unto him, “Rabboni;” which is to say, “Master”. But if Paul invented the Resurrection then one thing of which we can be absolutely certain is that nothing like this ever happened. If this scene is fictional; then Mary is fictional as well. If we delete this scene from the Gospel, then we delete Mary Magdalene. The Magdalene is a perplexing figure just because she appears only at this one crucial point in the story. If you accept the "Paul Made Everything Up" theory, then she vanishes altogether. Well, logically speaking, there are only two possibilities – either Jesus was married or he was not. Since in the 2nd century we have both traditions, one is reflecting theology and the other is preserving real history....One of those positions must be preserving history while the other is defending theology. I have to say that I don't follow this at all. Why can't both positions be theological? 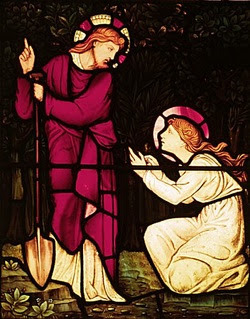 Am I entitled to say "There was a tradition that two women discovered the empty tomb of Jesus, and that they ran away and didn't tell anybody; and there was also a tradition that Mary discovered the empty tomb and ran and told the disciples: one or other must be the historical truth." Can't you reply "Or perhaps they are both stories?" And this is why all these attempts to "uncover" secret "truth" behind old documents seem to me to be so futile. They don't treat the gospels (canonical or "lost") as texts with a meaning. They see them as collections of clues, with a solution. The writers of the Christian Gospels wanted to tell us something -- something that they thought was urgent and important. And they told us in the form of a story. Of four stories. The trouble with Bible Code theories is that they direct our attention away from those stories towards some different story that they have just made up; which they privilege by calling "historical". The "lost Gospel" doesn't offer us a version of the Biblical Jesus who happened to have a wife. It's a substantially different story, in which Mary, a pagan priestess, was the star of the show; in which Jesus and Mary were married by the Emperor and in which the wine of the last supper was Mary's menstrual blood! Their methodology doesn't only prevent us from seeing what St Mark wrote; it prevents us reading the Apocrypha as well. I mentioned a few weeks ago on Twitter that my next essay would either be about Mary Magdalene or about 1970s Star Wars comic books. "Why not write about both at once" said some wag. I suspect that that is precisely what I have been doing. (*) Note: He did not. (**) Although it's a bit hard to swallow Mrs Christ calling Jesus "Rabboni" -- isn't that a bit like the Archbishop of Canterbury's wife calling him "You excellency"? A long time ago I wrote down everything I know about Religion and put it in a book, It would be lovely if you read it.